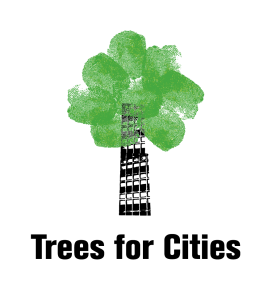 Trees for Cities is the only independent charity working on a global scale focussed entirely on planting urban trees, inspiring children to grow and eat good food and providing volunteering opportunities to bring local people together. Since our inception we have engaged over 70,000 people to plant over 575,000 trees worldwide, focussing on health, food security, environmental protection, and providing opportunities for education and learning through our Edible Playground and Urban Forest programmes. Our vision to plant trees in cities is global. However, we know the importance of a local focus; we empower and work with local people to strengthen their community.